In part I, we considered the Amazon Echo voice controlled product and how this creates client engagement and an innovative direct sales channel with their customer base. This is a move beyond mere e-commerce websites and offers deeper customer engagement. This post will cover what this means for you, the Building Supplies organisation and how it could benefit the relationship with your trade customer base. Deeper customer engagement is, firstly, about delivering more value to your customer. This could be through the use of technology to make their life easier or simply delivering a wider range of services than a straightforward ‘buying experience’. With the rise of mobile apps and the fact that most tradespeople are not office-based then mobile tools offer a potential touch point to deliver value. Examples could include useful mobile apps to help tradespeople with their work such as calculators, estimation tools or compatible parts databases. Deeper customer engagement is also about frequency. Rather than the odd purchase from an e-commerce site you need to create a reason for your customer to interact with your brand on a frequent basis. One of the oldest marketing tricks in the book is the use of branded promotional goods such as pens or mugs as this is a useful way to keep your brand in your customer’s mind. With the drive toward digital working we should expect to see more promotion being done through valuable digital tools and mobile apps that are used every day. Finally, deeper customer engagement involves learning more about your customers. With technology, this means having the mechanisms to better understand your customer’s individual needs and behaviour through the collection and analysis of data. This is an area where digital tools are unique. For example, if a tradesperson uses a mobile app to calculate the amount of flooring required then it’s perfectly feasible (by recording the number of calculations done and the size of rooms measured) to get an idea of the total amount of flooring a tradesperson would purchase in a year. This information could be used to make tailored offers to the tradesperson and thus deliver extra value. These three factors combine to build customer loyalty and make your customer more likely to buy from you and less likely to buy from your competitor. There is a virtuous circle in delivering something of value to a customer; having them use it frequently, measure and understand the customer behaviour and then modifying that offering to deliver even more personal value. In this way customer interaction becomes ‘stickier’ and drives more loyalty to the brand. As part of the digital transformation of builder’s merchants there is an opportunity to think beyond e-commerce and consider apps, technologies and ideas that can offer deeper customer engagement. Whilst builder’s merchants are unlikely to create an Amazon Echo rival, inspiration can be drawn from leading companies in other sectors. With web and mobile technologies there has never been a better time to innovate in customer engagement and deliver value to your customers whilst increasing sales opportunities for your business. 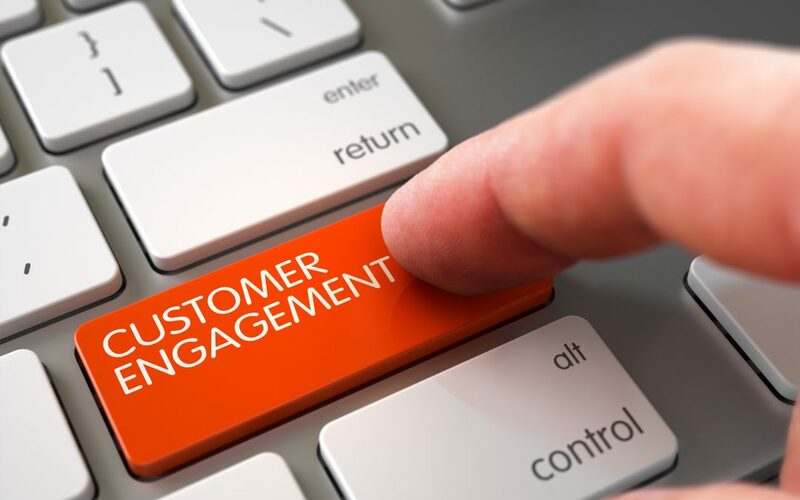 If you have any questions on how to improve engagement with your trade customers, contact us on info@engagentrade.com or on 0141 352 2280.